At the North American International Auto Show this week, Nissan announced a massive $6,400 price cut to the standard-model Nissan Leaf in the United States. In 2012, this model was priced at $35,200. 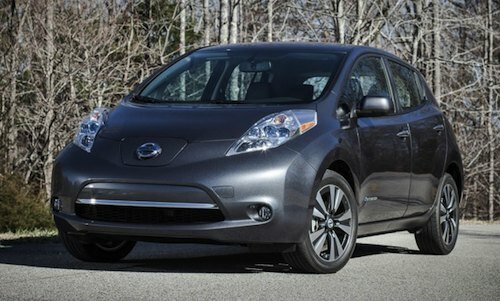 The new standard 2013 Nissan Leaf will start at $28,800. Nissan has said that this will make the new Leaf the least expensive five-seater electric car on the U.S. market. In addition, drivers can expect a faster charge time, with an 80 percent recharge in two hours. A big portion of the difference in price is said to be due to the car’s assembly moving from Japan to the U.S., and some of it is due to the make-up of this lowest-end model. As well as the cars being assembled in the U.S., the lithium-ion batteries and electric motors are being manufactured in the United States. The 2013 prices will have an added $850 “destination fee” added, but the car will qualify for the $7,500 federal income tax credit, as an extra to any state incentive for low-emission vehicles.